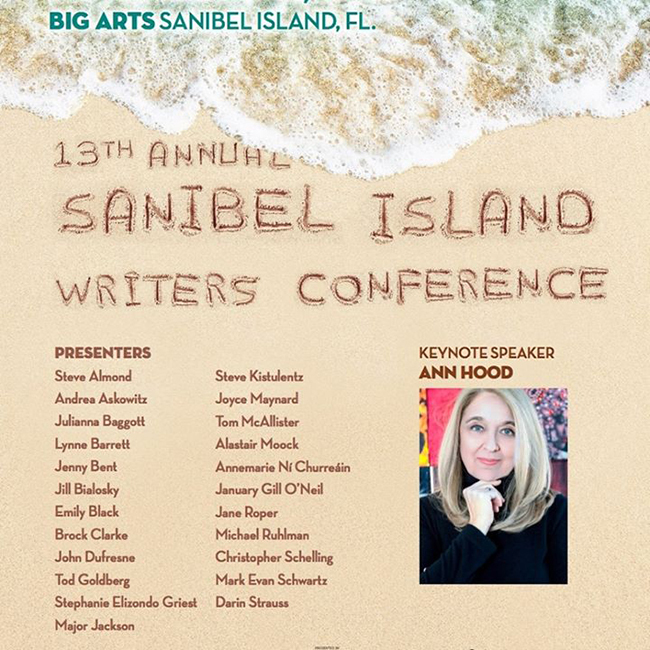 The 13th annual Sanibel Writers Conference is being presented on the island from November 8 to November 11 at the BIG ARTS center on Sanibel. The conference features workshops in fiction, nonfiction, poetry, manuscript consultations, readings, panels, concerts and book signings. The conference is sponsored by Florida Gulf Coast University and the website address for information on the Writer’s Conference is www.fgcu.edu/siwc. A complete schedule for the four-day event can be found on the website. The cost of the conference is $550 ($440 for BIG ARTS members and $300 for full-time students). General registration is first come, first served. For out-of-town attendees, lodging is available at discounted rates at area hotels or inns. The keynote speaker for 2018 is fiction writer Ann Hood. Among her fiction works are The Knitting Circle, Comfort: A Journey Through Grief, An Italian Wife, Somewhere Off the Coast of Maine, Morningstar, and The Book That Matters Most. She is a New York Times bestselling author. 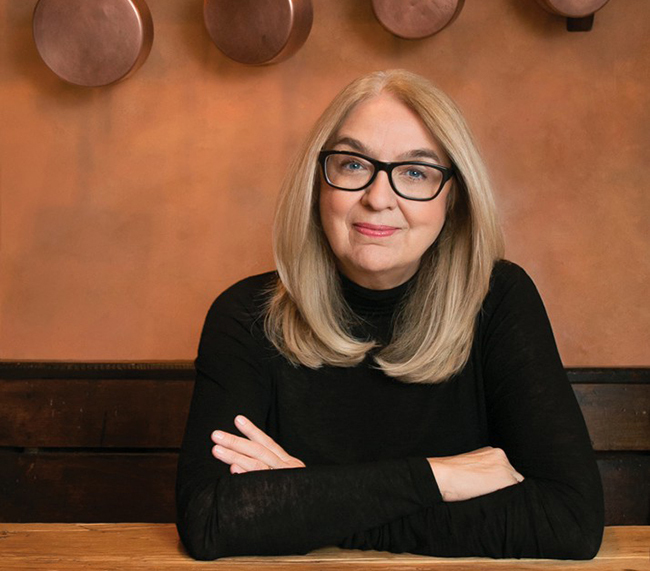 After graduating with an English degree from the University of Rhode Island, Ann worked as a stewardess for TWA, getting fodder for stories to come. Her first book, Somewhere Off the Coast of Maine, was written on international flights and published in 1987. Her work has been featured in The New York Times, the Paris Review, O, the Atlantic Monthly, and Real Simple. Her most recent work, She Loves You (yeah, yeah, yeah) is a young adult novel published in June of 2018. Faculty and visiting writers include poet Major Jackson, fiction writer Julianna Baggott, non-fiction writer Steve Almond, screenwriter Mark Evan Schwartz and agent Christopher Schelling of Selectric Artists. For a complete list of participating faculty and visiting writers go to www.fgcu.edu/siwc. To reach the conference director, email Tom DeMarchi at tdemarch@fgcu.edu. This entry was posted in Art Show Sanibel Island, Florida Vacations, In the News, Sandalfoot Beachfront Condominium, Sandalfoot Condominium, Sandalfoot Condominium Events, Sanibel Island Events, Sanibel Island News, Southwest FL, Vacation. Bookmark the permalink.